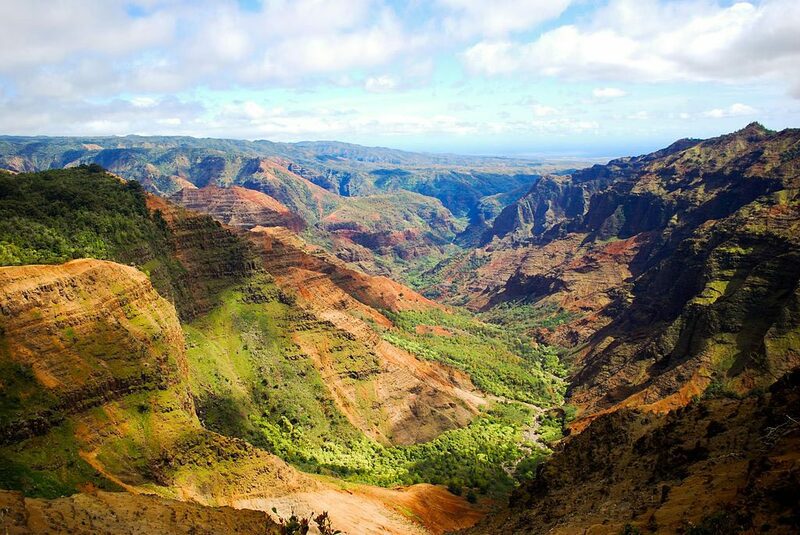 Dubbed “The Grand Canyon of the Pacific,” Waimea Canyon is tucked inland on Kauai’s west side and is 14 miles long and 3,600 feet deep. It seems out of place in Hawaii, and this makes it even more intriguing and spectacular. Its layered ruddy-red formations stretch on for miles, inspiring awe in all who see it. This Canyon is popular for hikers, and there are trails for all difficulty levels. 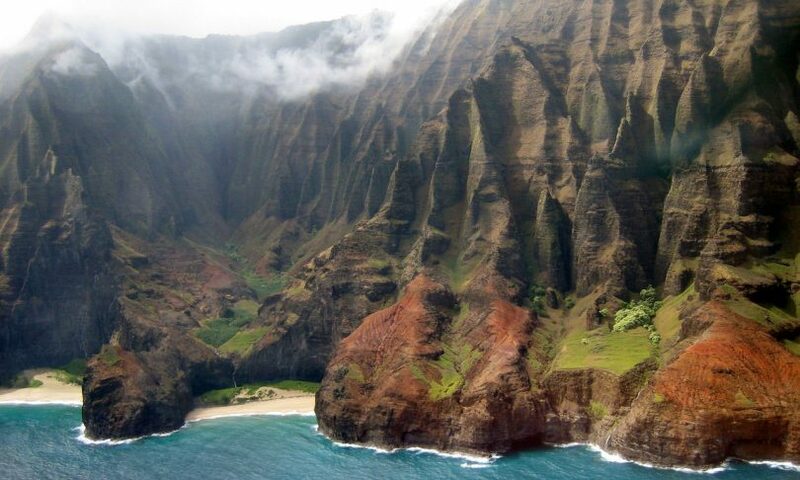 Kauai’s north shore may feel remote, but it’s well worth the drive. The seventeen miles of Pacific shoreline called the Napali Coast features emerald green pinnacles, cascading waterfalls, velvety cliffs, and an abundance of inspiring ocean vistas all along this must-see Hawaiian coastline. Be sure to check out the stunning Kauapea Beach (Secret Beach) along the way. If you’re into briefly leaving the beach and burning some calories, take some time to hike the Kalalau Trail. This trail is so exclusive and remote that you must obtain a permit before exploring- which we highly recommend! 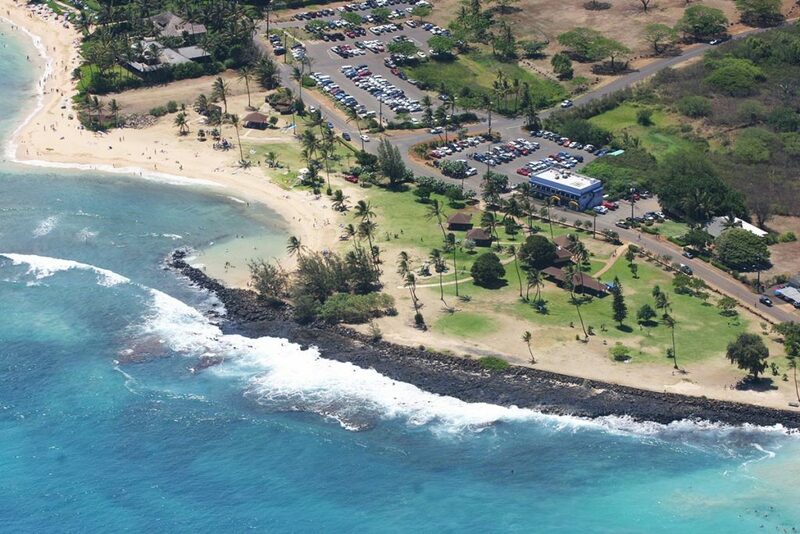 There’s no shortage of gorgeous beaches and parks to explore on Kauai, but Poipu Beach Park is one of the best. While this South Kauai beach has received some press in recent years, that’s no reason to steer clear of it. You’ll almost always see an abundance of marine life here, from humpback whales to sea turtles to monk seals and an array of tropical fish in the shallow waters. You can rent snorkel gear or charter a boat to take a tour. If you need a break from the sun and surf, consider a trip to the Kauai island town of Hanapepe, known for its rustic roots and eclectic arts scene. It’s located on the south shore just west of Koloa, and it’s considered the “art capital of Kauai.” Its historic buildings have made it the site of a number of films, and there’s an abundance of art galleries to browse. You’ll also find plenty of shops, boutiques, cafes, and restaurants to enjoy. 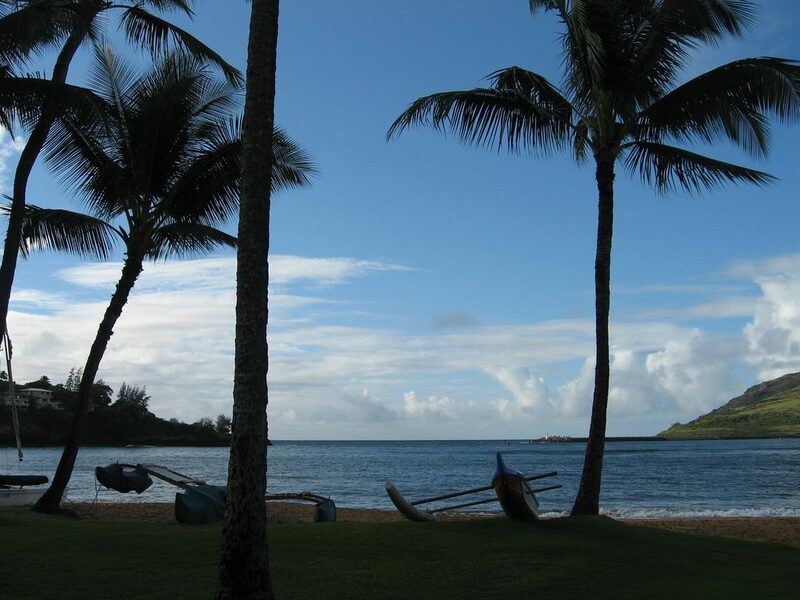 While the popular Hanalei and Poipu Beach are often recommended for tourists, you can get off the beaten path and go where the locals go by heading to Kalapaki Beach. It’s near Poipu on the south shore, but it’s less visited and offers a better opportunity for relaxation, peace, and quiet. Consider it Poipu’s lesser known but still beautiful little sister, and get ready to soak up some serious Hawaii rays. You can also kayak, surf, take a boat, or just lounge at one of the nearby cafes. 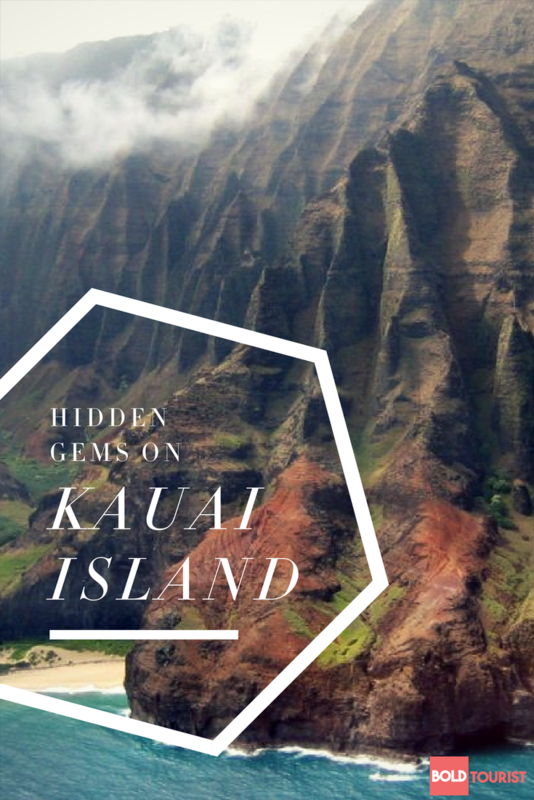 Kauai island is known for being a little wild, remote and untamed, and locals and visitors like it that way. 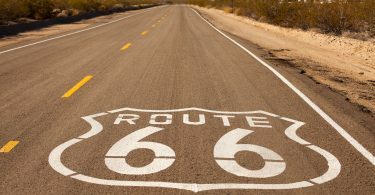 If you’re ready to get off the beaten path in Hawaii and see some of the best sights, don’t miss these five must-see attractions and destinations. 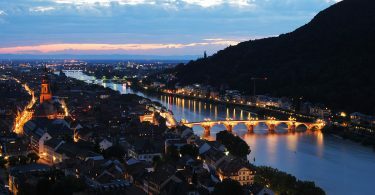 We’ve partnered with Viator, who offers many group and private tours. 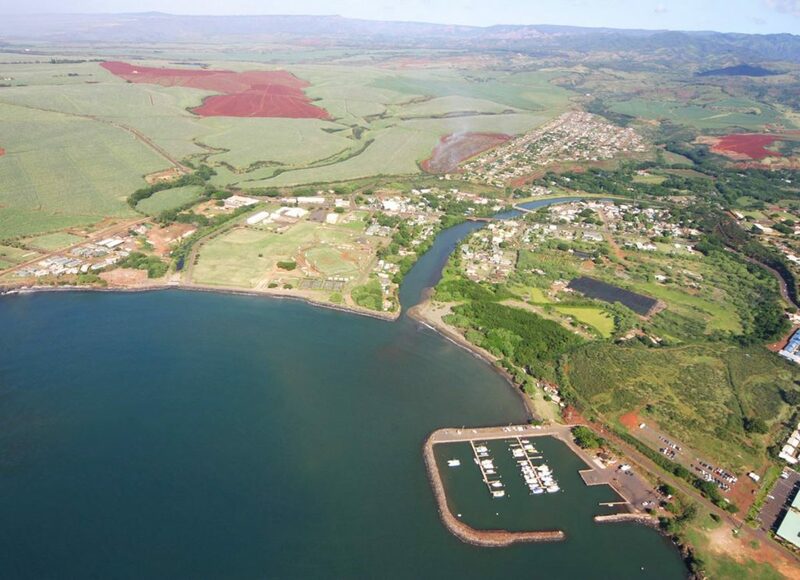 If you’re looking to book a hiking or helicopter tour, whale watching, or dinner cruises in Kauai, browse our booking area.